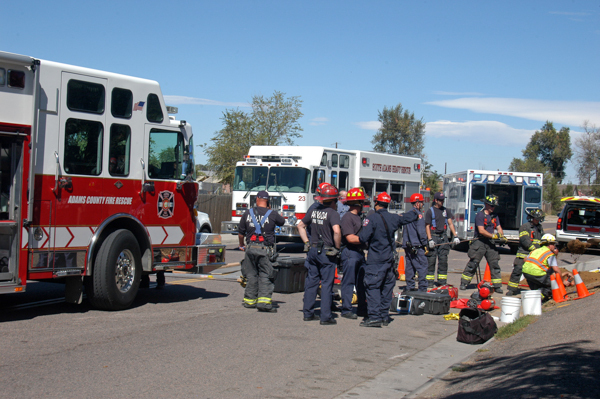 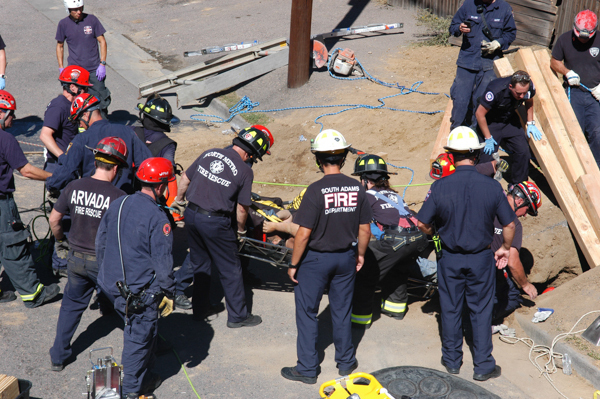 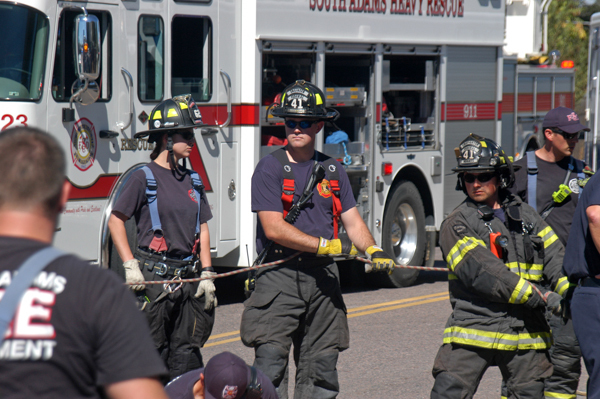 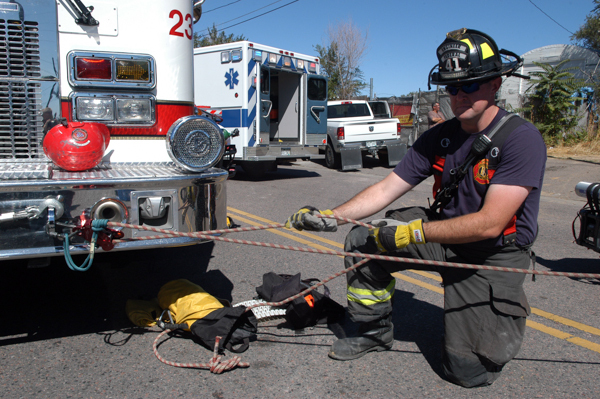 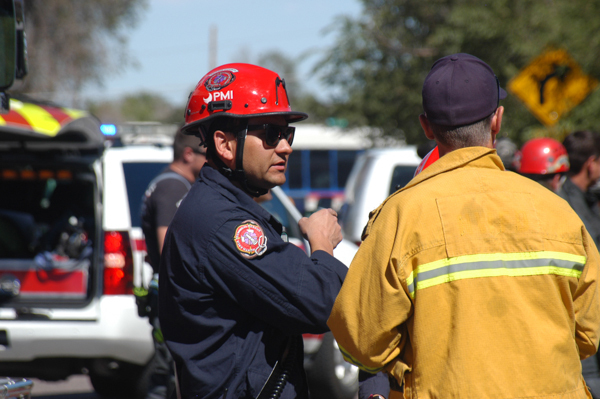 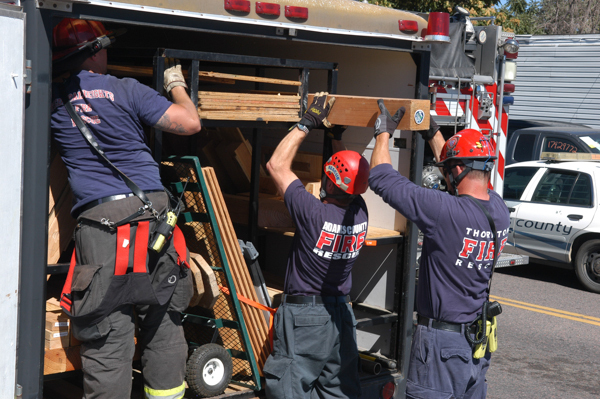 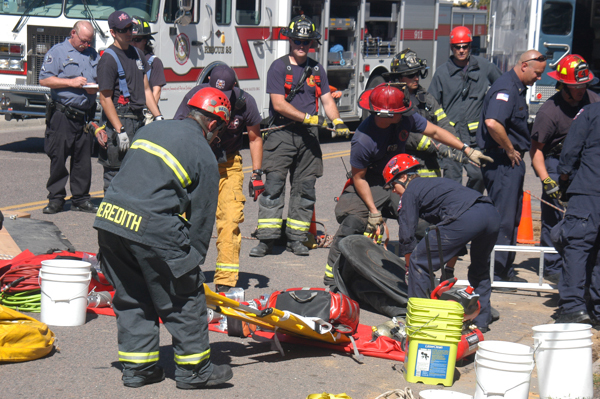 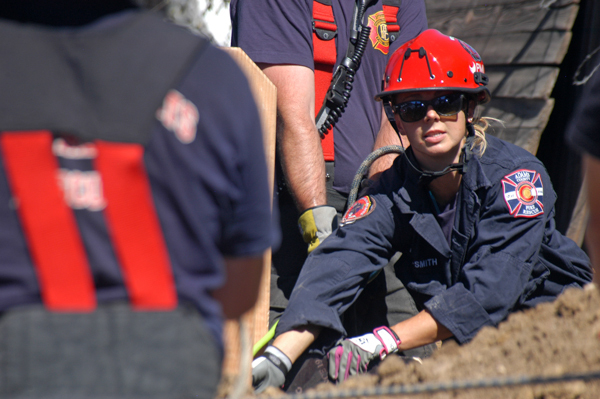 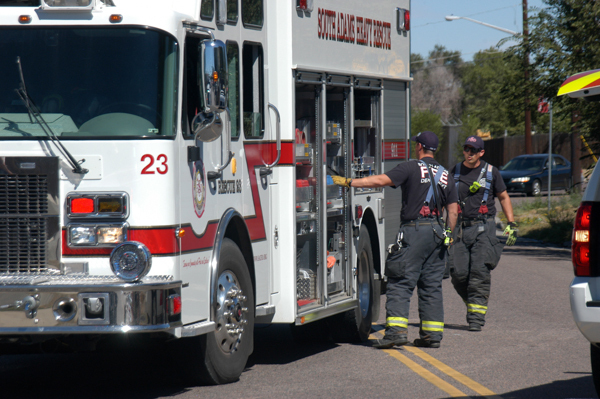 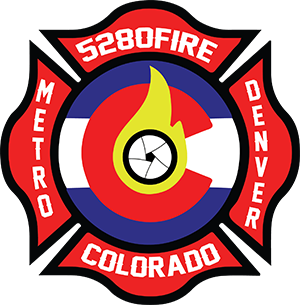 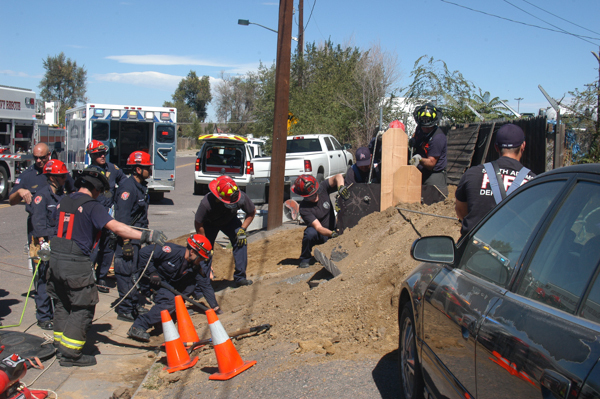 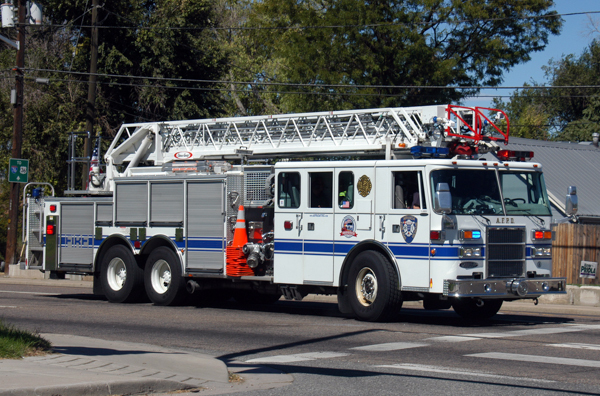 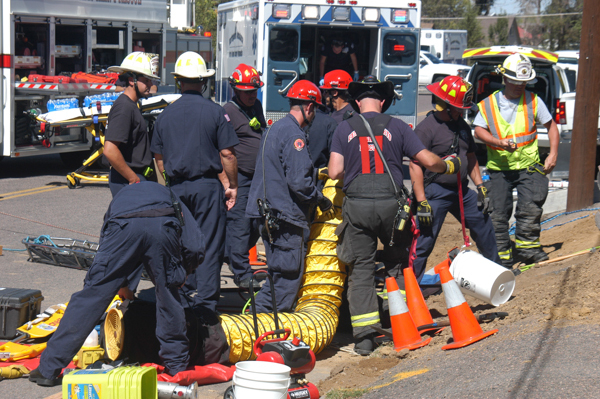 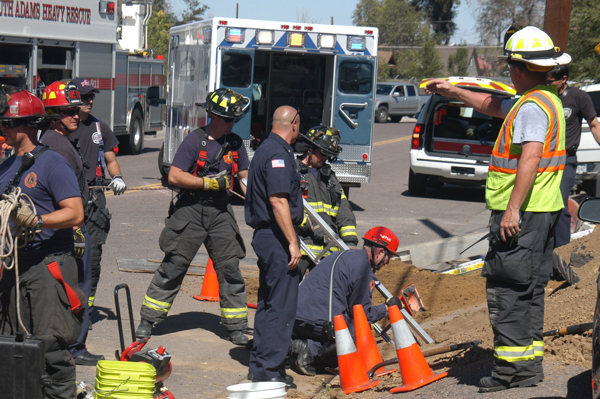 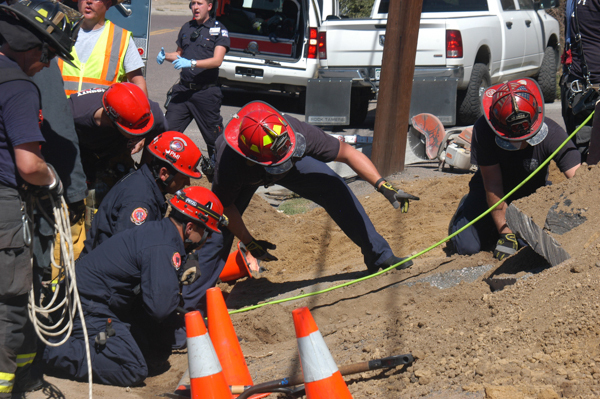 At approximately 11:25 on September 18th, 2016 South Adams County Fire Department responded to a trench rescue at 7222 Ivy St. in Commerce City. 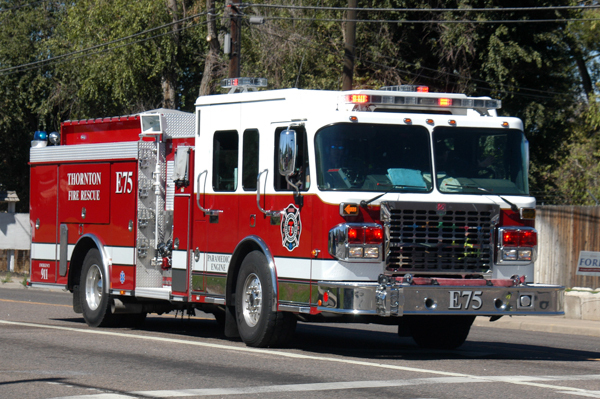 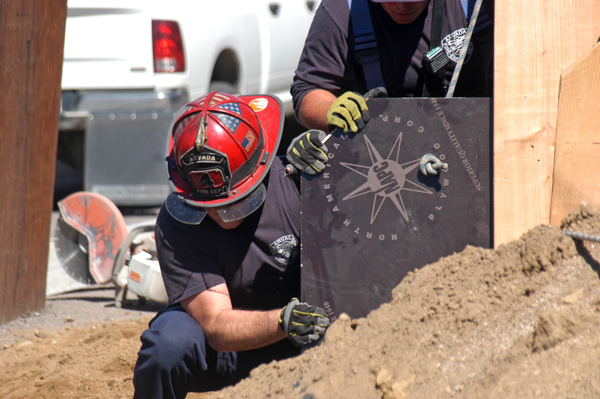 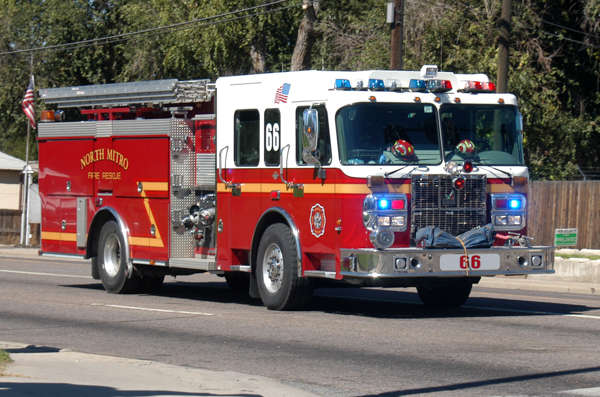 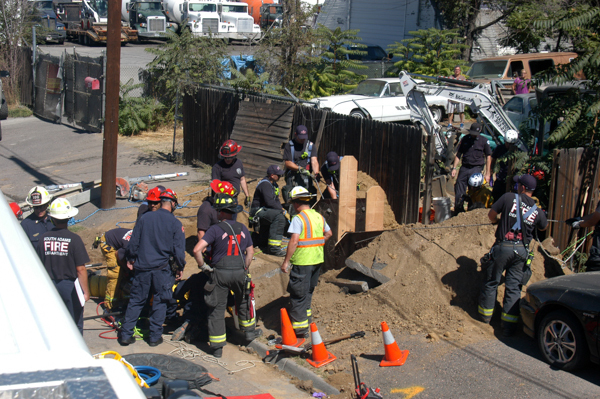 The first arriving units found an adult male trapped in an 8-foot trench, buried from the waist down, and called for assistance from the North Area Technical Rescue Team. 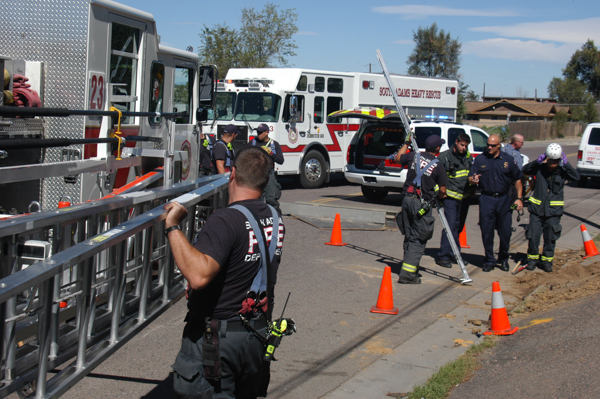 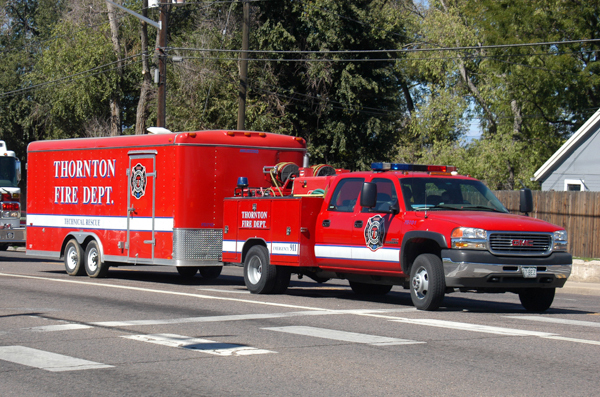 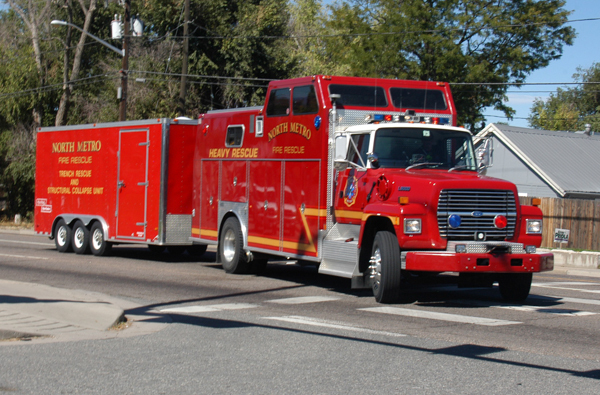 Additional resources from Adams County, Arvada, Federal Heights, North Metro and Thornton responded to the scene. 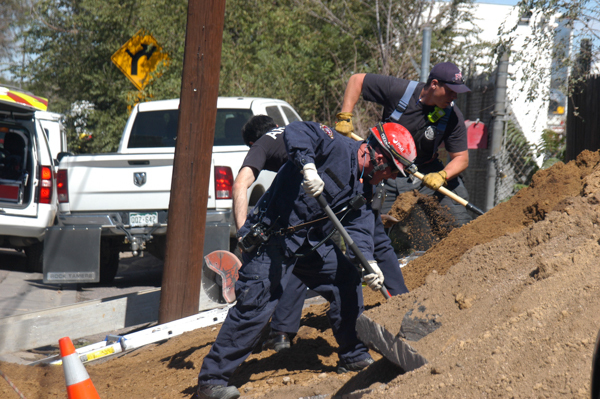 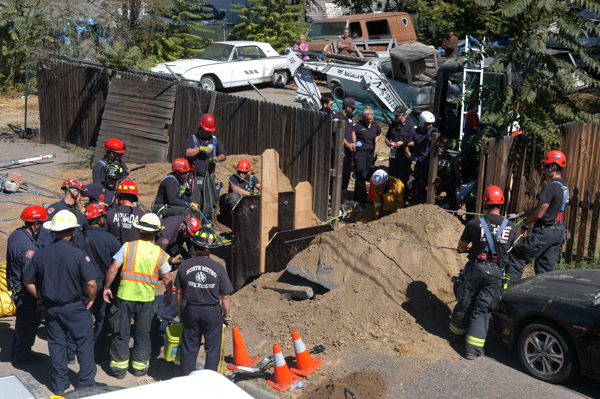 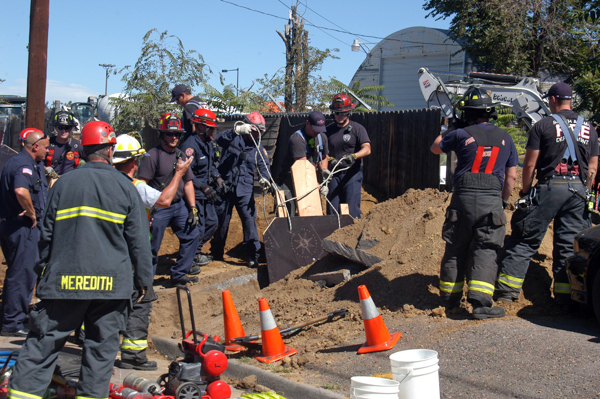 Firefighters shored the trench, stabilized the patient and slowly excavated dirt one bucket at a time. 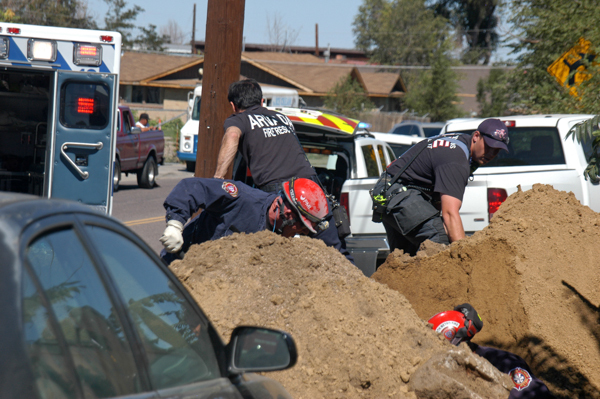 Approximately three hours later the patient was freed from the trench and rushed by ambulance to a local hospital.